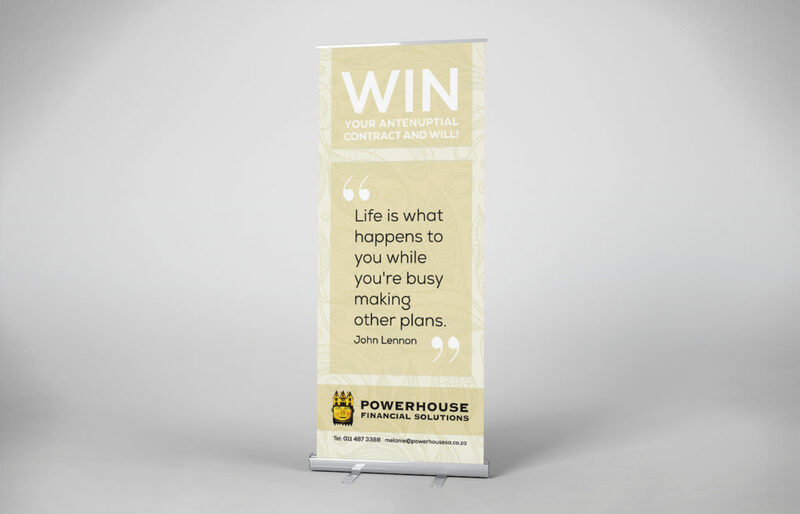 Powerhouse wanted to attend a wedding expo and paid for a small space to exhibit and advertise their legal offerings to brides and grooms-to-be. Because of the tight space they had to work with, we recommended a pull-up banner as the main focus of the stand. The pull-up advertised the competition they ran. Below is the entry-form. 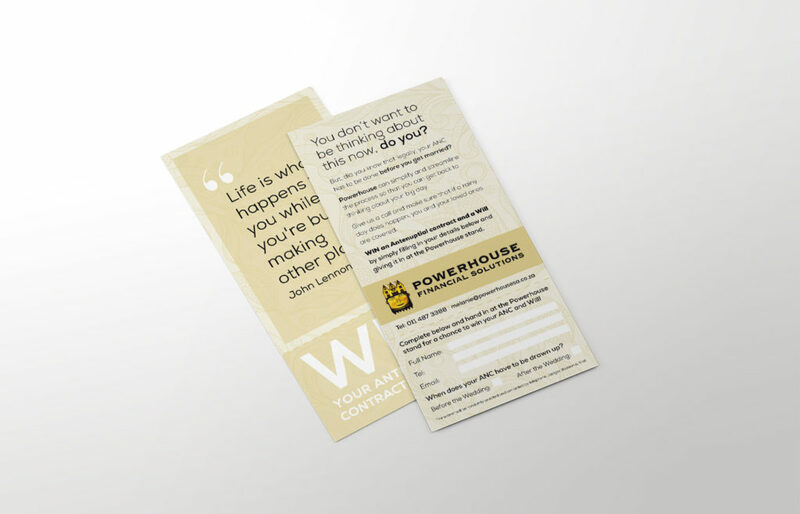 You can see the identity refresh we created for Powerhouse after this here.